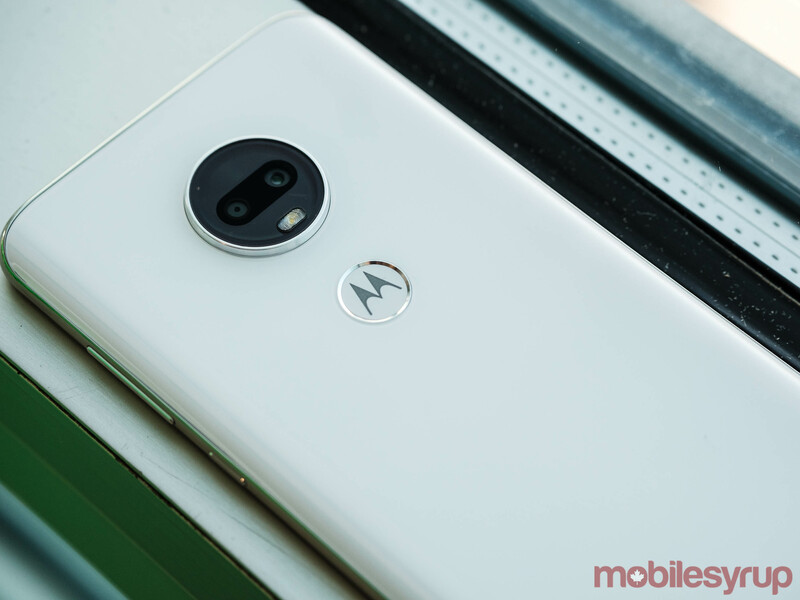 Motorola has announced the launch of its new G7 series of affordable smartphones. Set to arrive in Canada sometime this spring, the North American G7 family consists of three smartphones: the entry-level G7 Play, the new G7 Power with 5,000mAh battery and the top-of-the-line G7. All three smartphones feature Qualcomm 2018 Snapdragon 632 chipset, which Motorola says is 50 percent faster than the previous generation 400-series chipset that powered the G6 lineup. 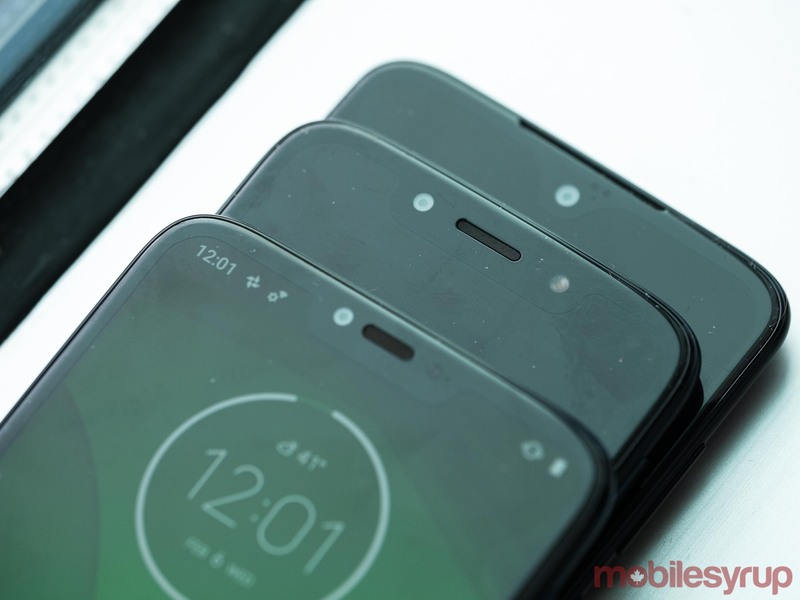 What’s more, across the entire lineup, Motorola has significantly reduced the amount of display bezel each phone features. That said, there are a variety of internal differences between the phones. To start, the G7 Play features only 2GB of RAM at its disposable, as well as 32GB of expandable storage and a 3,000mAh battery. It also has the smallest display of the three phones, measuring in at 5.7-inches with a 720p pixel resolution. However, the G7 Play features the widest display notch of the three devices. Additionally, at 151g, it’s the lightest of the three phones. On the camera front, the G7 Play features a single main shooter with a 13-megapixel sensor and an f/2.0 aperture. On its front, the G7 Play sports a single 8-megapixel camera with f/2.2 aperture lens. Both cameras feature support for a software-assisted portrait mode. The G7 Play will be available in two colours: ‘Starry Black’ and ‘Deep Indigo’. In the U.S., it will cost $199 USD. Next, there’s the G7 Power. At 198g, it’s the heaviest of the three phones thanks to a 5,000mAh battery. 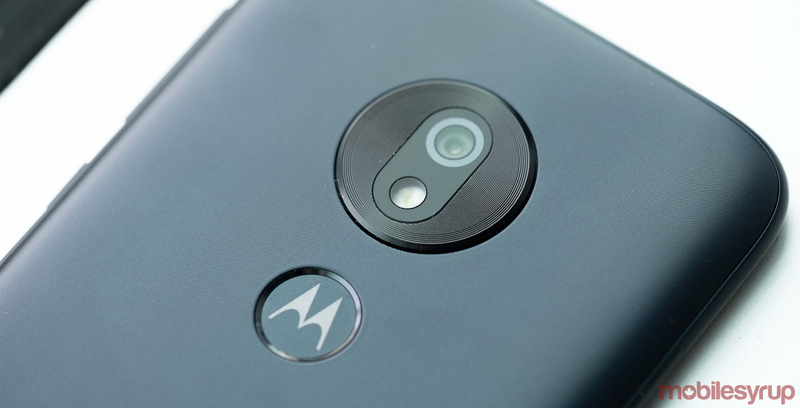 Motorola claims the Power can work through 60 hours of continuous use on a single charge. 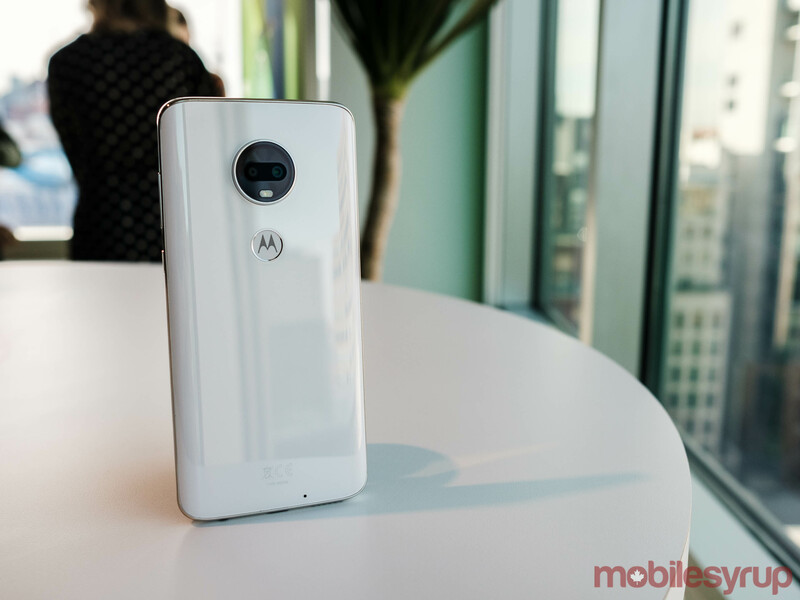 The included TurboPower charger that comes with the device is capable of providing the phone with nine hours of battery life after just 15 minutes of charging, according to Motorola. It features other physical and spec differences as well, including a larger 6.2-inch display with 720 x 1280 pixel resolution and 3GB of RAM instead of 2GB. The G7 Power will be available in a single ‘Marine Blue’ colour. Next, there’s the top-tier — at least in North America — G7 model. It’s the most premium of the three versions and looks alot like the iPhone XS. It also has the most capable main camera system. The main camera features a 12-megapixel sensor with f/1.8 lens. The G7’s camera also has the most advanced software features at its disposable, including a new auto-smile feature that automatically triggers the shutter when the camera detects that everyone in the frame is similing. This features works with up to five individuals in the frame simultaneously. Another exclusive software feature is the Cinemagraph, which Motorola introduced with its Z-series of smartphones. All three phones will ship with Android 9 Pie out of the box, and Motorola ‘Actions’ and ‘Display’ customizations, which users will be able to tweak to their liking via the included Moto app. 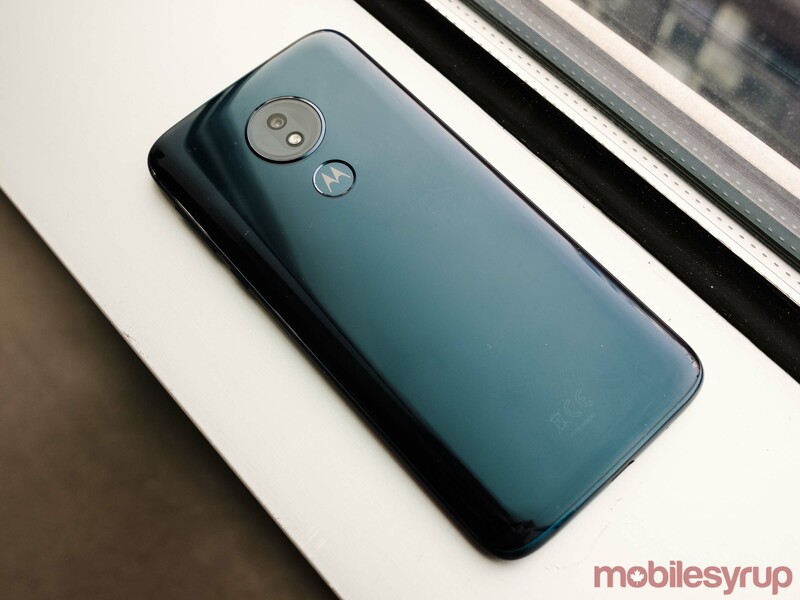 In Canada, the Moto G7 family will be available via Bell, Virgin Mobile, Rogers, Fido, Videotron and Freedom Mobile. We’ll update this article once Canadian-specific pricing becomes available. Expect to see a review of the G7 family on MobileSyrup in the coming weeks. In the meantime, check out our hands-on with the devices.